Your website is a huge reflection of your company as a whole. Not only should it look good and be easy-to-navigate, but you want to make sure the content itself is of the highest quality. Learn more about why incredible website content is so important and how Coastal Data Management can help you with this creative process. There are two distinct reasons why quality content matters. The first reason is that (as we mentioned above) your web page reflects on your company. If you do not put the effort into putting high-quality content on your site, why should a customer trust your firm? Web content should be simple, yet full of great information so that potential customers learn something when they visit your website. Secondly, well-written and carefully constructed web content can be one of the best ways to boost the number of visitors that find your site. Creating web content with SEO (Search Engine Optimization) in mind will make your website rank higher on common searches on Google, Bing, and other search engines. This can offer a HUGE boost to the number of visitors that find your website online. Unlike PPC (pay per click) marketing, this is a form of marketing that will keep working for you month after month and year after year. Sure, you could create web content yourself. However, unless you know the ins and outs of SEO, your results may not be as effective as you had hoped. Our team of expert writers will work with you, learn more about your business and create pages that make an impact. Your visitors will appreciate that your site is full of excellent information, and new customers will be able to find your company when searching for industry-related terms on their favorite search engine. Don�t stress yourself trying to create your web content. 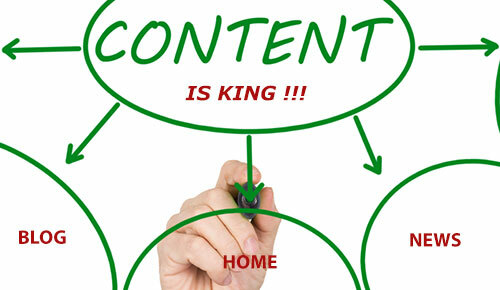 CDM offers affordable website content services that are designed to make your online marketing tasks a breeze. Contact us online today and let us help you get started.